When it comes to building dreams for your family, our family does it best. Other residential, commercial builders & renovation companies derived from public records. Buyers luck out when they come to Hampton Roads. 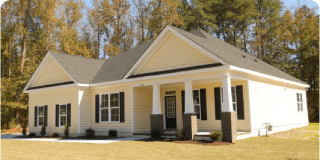 Quality builders here can build each home with construction techniques that are not only durable but stylish as well. It doesn’t matter what type of residence homebuyers have been envisioning for themselves because builders in southeastern Virginia can do it all. Our real estate agents can help buyers find exactly the right builders for their specific types of projects. They can also locate beautiful parcels of land or suburban lots that make lovely settings for new homes. Finding the right agent, builder and location can be the start of a new beginning. The greater Hampton Roads area is quite diverse in terms of people, scenery and homes. Successful builders here know that the one-size-fits-all approach does not work well with discriminating homebuyers. Seasoned professionals offer homes in many styles and designs that appeal to a wide range of people seeking that perfect new home. Some buyers may be inspired by the traditional homes in this area- the Victorians, Queen Annes, Colonials and Cape Cods. Other buyers may want their home’s design to have a more modern spin. Either way, it is nice to know local builders can accommodate a buyer’s wishes, making this an ideal spot to build. Getting to know some of the local builders can help buyers feel more at ease about how their homes will turn out. 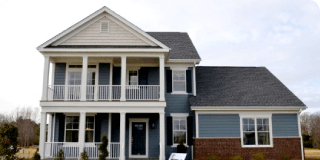 Hampton Roads is filled reputable building companies who can produce fine, quality products. Ashdon Builders is a family-owned business known for their superior homes and excellent customer service. Custom Homes of Virginia builds entry-level homes all the way up to more luxurious, highly customizable models. North Shore Construction focuses on building a handful of select homes each year. Landmark Building Group concentrates on building affordable, new construction homes. Rencon Industries specializes in building homes that meet high standards. Homebuyers interested in a purchasing a completely remodeled home can check with Direct Resolutions. This company remodels homes in need of work, getting them in pristine condition for new owners. Buyers interested in connecting with some of these outstanding builders of Hampton Roads have a couple of options. One of our real estate agents can initiate contact between interested parties to get the ball rolling. This way helps busy buyers needing a quality home built within a specific time period who do not have time to waste. Another option is to tour model homes and new developments to see which builder might be the right fit before going further.